As technology has become more affordable, businesses of all sizes have begun using recruiting software to streamline their recruitment process. Roughly 80% are able to fill their job openings this way. 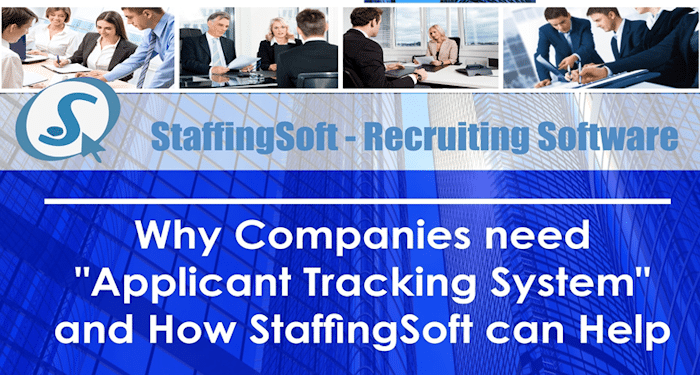 StaffingSoft is comprehensive cloud based Application tracking Software that is designed around the way human resources, recruiters and Staffing Agencies work. Complete the form below and we will email you our EBook to find out how StaffingSoft Recruiting Software can boost the efficiency of your recruiting team by finding the top talent faster as it reduces the cost of hire.